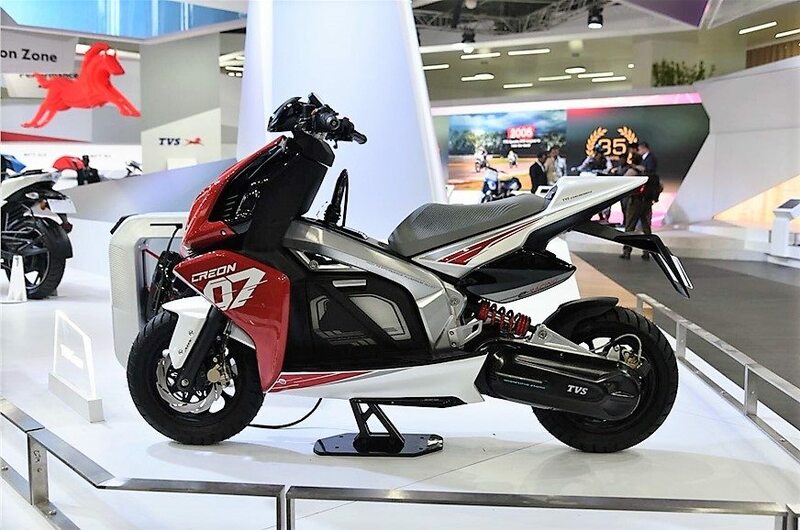 TVS Motor Company is a big scooter manufacturer from India. India is since 2018 the biggest market for scooters, even bigger than China, and India wants to restrict the sales of scooters to electric by 2030. 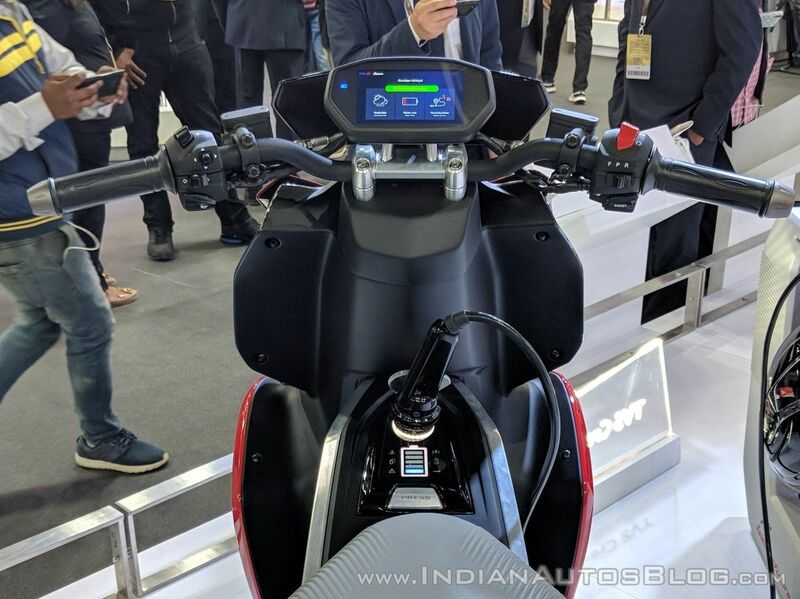 TVS will launch several new electric scooters in the coming years. 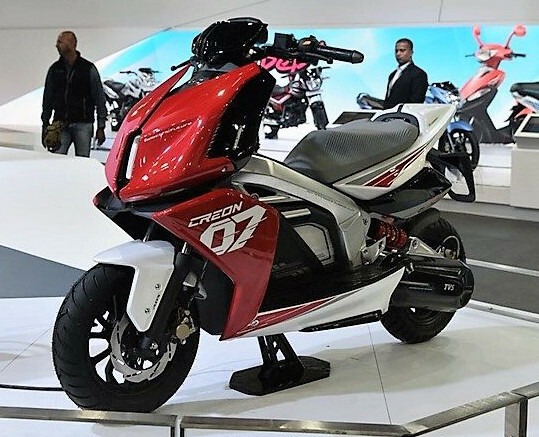 The Creon is the first electric scooter from TVS. 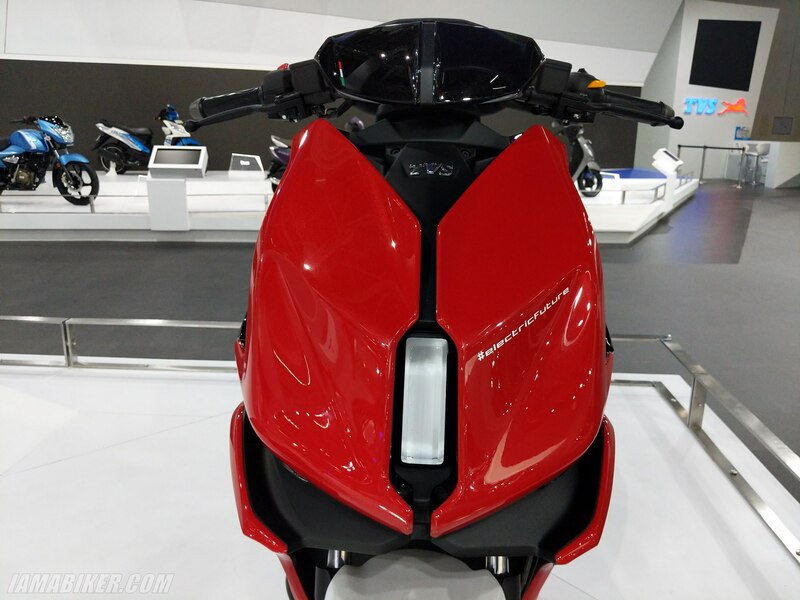 It is a performance oriented scooter that accelerates faster than many sports cars. The scooter accelerates from 0 to 100km/h in 5.1 seconds. 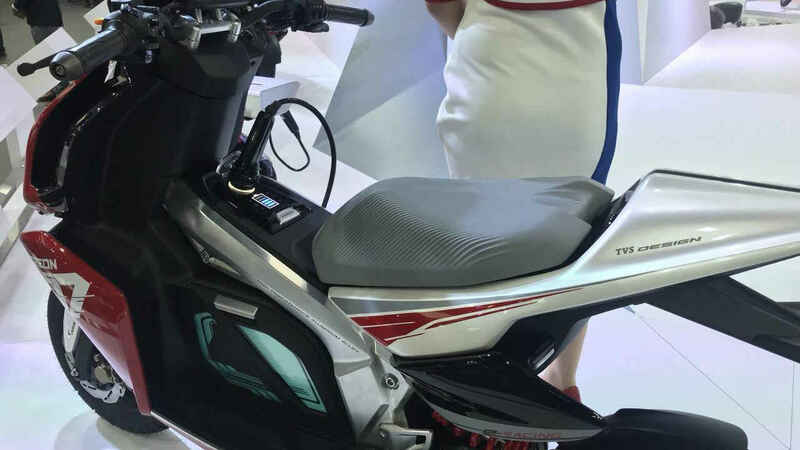 The scooter has 3 Lithium battery modules that provide a range of 80km. The batteries can be charged to 80% in 1 hour. 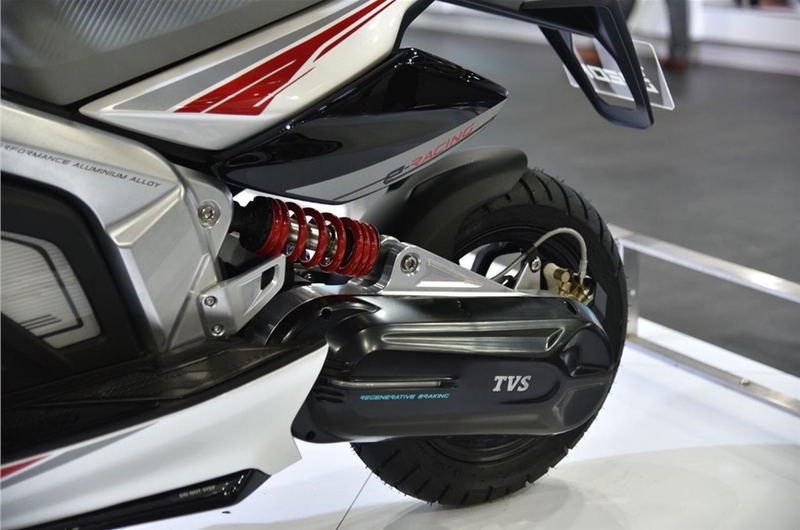 The batteries are placed in the middle of the scooter to achieve the lowest possible center of gravity for sport bike style riding. 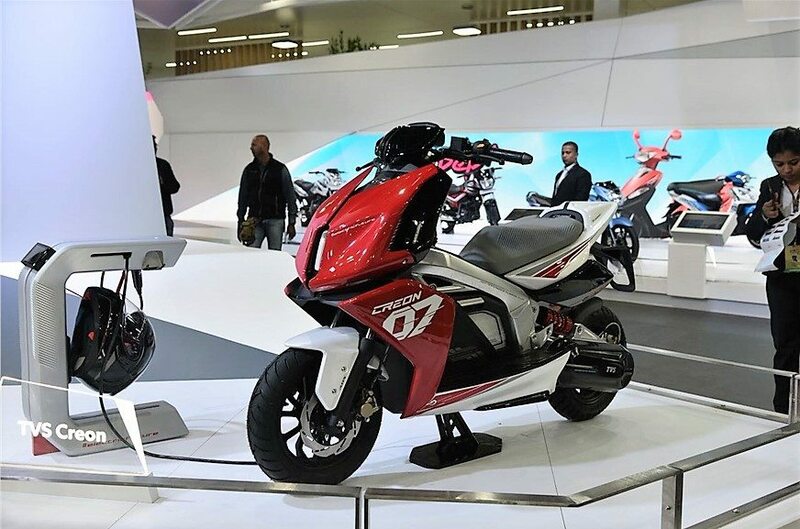 The scooter has the looks of a race scooter and is stuffed with the latest innovations such as a TFT screen that connects with a smart phone for access to various scooter apps and display of basic information such as speed and battery level. 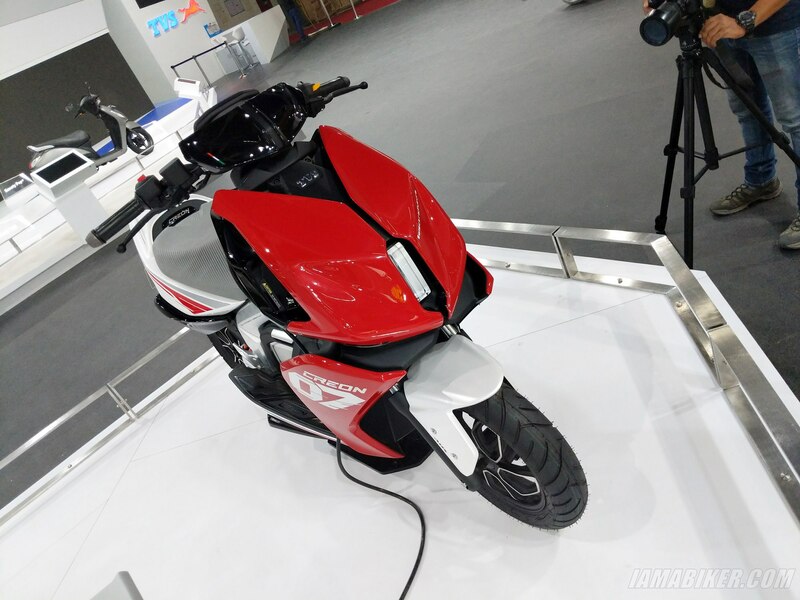 The scooter is connected to a service cloud, offers three driving modes, has regenerative braking, parking assistent, anti-theft security, GPS navigation and geo-fencing. 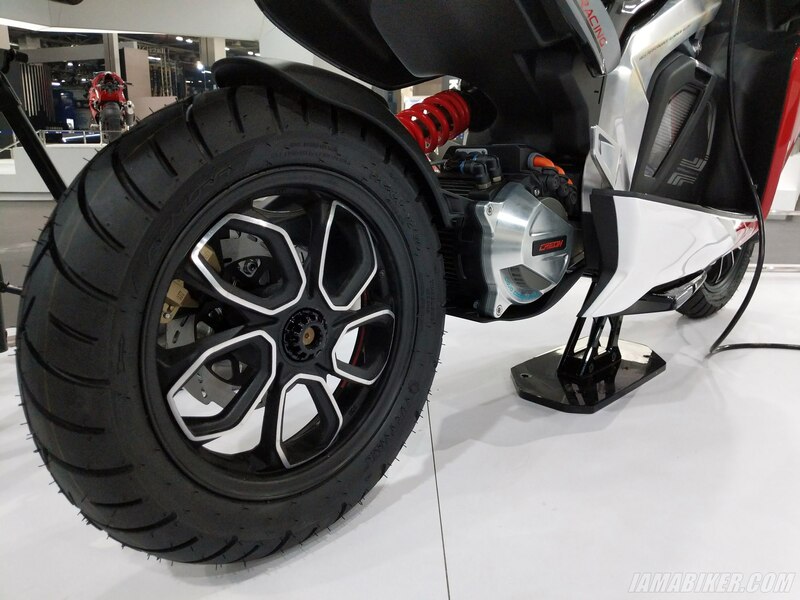 The scooter has front and rear disk brakes with ABS. The buddy provides space for a helmet. The scooter can be ordered in many colors. It is possible to import the scooter using www.uship.com.